A love for 30-year-old film drives this game, but does it save it from indie mediocrity? The 1980s were the golden age of the kid’s adventure movie. From The Goonies to Monster Squad, the decade was full of them. You couldn’t walk a metre in a video shop without finding at least two…which, for me, were The Goonies and Monster Squad. Video games of the period were also in a coming-of-age story, as they branched out into new horizons. For most of the decade, new video games were confined to the PC after the North American market promptly shat itself and killed the console industry. The 1981 release of MS-DOS is a benchmark in PC gaming, as many classic titles (and future iconic franchises) were released under the platform. Crossing Souls tries to tap into both of these narratives of pre-adolescence. 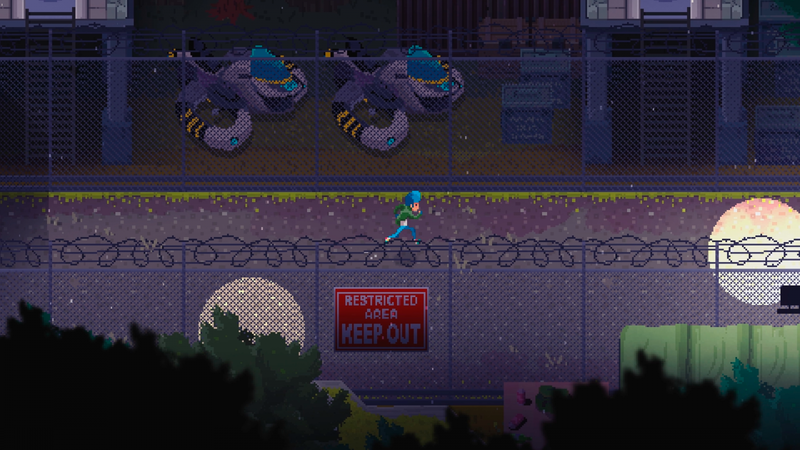 It’s an action adventure game that prides itself heavily on its inspirations – 80s film and DOS adventure games. The story is pretty standard fare for both: A group of kids uncover an ancient secret that thrusts them into a battle for their lives and the world itself. To give away much more than that would spoil a good deal of the twists that Crossing Souls has to offer but believe me when I say that the plot is equal parts engaging and predictable. It’s engaging because of its love for the medium it’s inspired by, but predictable for the same reasons. Still, Crossing Souls manages to have enough charm in its writing to pull it off…most of the time. Rooty, tooty, run and looty. 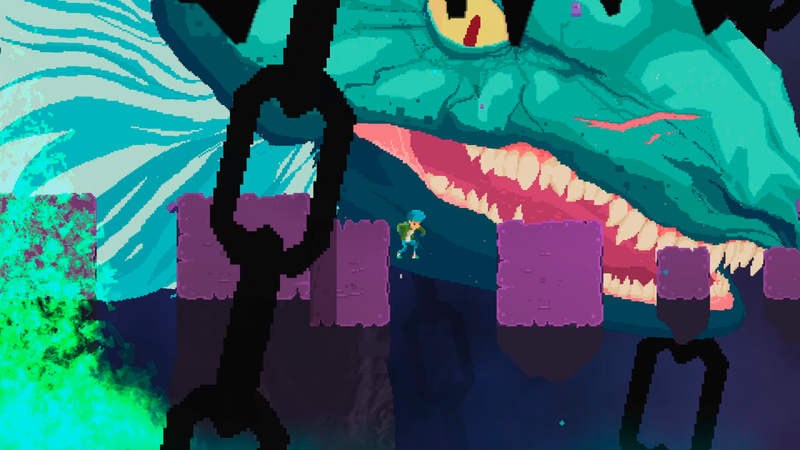 Crossing Souls plays not unlike other 2D action games like The Legend of Zelda. Combat is in real-time, with a variety of enemies to keep you on your toes. Exploration is reliant upon the abilities that each kid in your group has. You can change between them at any time, with each having different combat styles as well. Puzzle segments make an appearance as well, with the later ones being fun to play. One, however, drove me up the wall. The threat of spoilers persuades me to not mention which one, but you’ll know when you see it. Other than these later ones, the rest of the game’s puzzles are just ‘fine’. The exploration aspect of the game is executed quite well, with no issues worth noting. However, combat is where Crossing Souls slows to a crawl. Once you pick up Crossing Souls’ major narrative object, a stone that acts as a gateway to a dimension where the souls of the dead live, the game becomes much slower. Groups of enemies will frequently attack you from this dimension, and you’ll need to enter it to fight them. Going between the dimensions isn’t a problem; it’s just a button away. It’s the frequency of these attacks and the time needed to defeat them which is the problem. Each encounter is only about half a minute long, but those are still seconds taken away from what you were doing. It becomes especially tedious when you realise that the kid with the stronger attacks tends to be the best option. A stamina bar does exist in the game to curtail spamming, but basic resource management will make combat dull and repetitive. The boss battles are a welcome bit of variety (as boss battles should be), but almost every type of enemy can be defeated by any of the kids. The world is immensely polished and filled with character, but these random encounters make exploring it a chore. This is a shame, because there’s so much to explore. Collectibles make exploration bear some fruit, but the frustration of encountering yet another group of enemies makes you want to streamline your playtime. Luckily he’s wearing sneakers. For sneaking. You never catch the dragon, dad! Speaking of Crossing Souls’ world, it’s easily the best part of the game. The attempt to emulate 80s films has been superbly executed, with the writing and soundtrack particularly standing out. NPCs feel like genuine individuals, even if they only have a couple of speech bubbles each. The game’s main characters weren’t memorable, but they were great with the time they were given. The group of antagonists, for example, was a rogue’s gallery of various 80s action archetypes. Each of them wears their clichés on their sleeves, which is a trait the kid characters share as well. Conversations feel like they’re ripped straight from my VHS copy of Stand By Me, which is probably the biggest compliment I can give an 80s-core game. The soundtrack by Chris Köbke, who got my attention when he worked on 2011’s quite good short German film Kinderspiel, is phenomenal in just how much is sounds like an 80s film. There are also tracks by Timecop1983, a veteran of the synthwave genre. References to 80s films, however, feel very on-the-nose. A more subtle approach to these things would have allowed the game’s charming writing to stand out more. Collectibles, too, are heavily 80s-themed. ‘Charm’ is a word I’ve been throwing out more often these days. It’s probably because I’ve been playing (and reviewing) way more indie games than I have AAA ones. 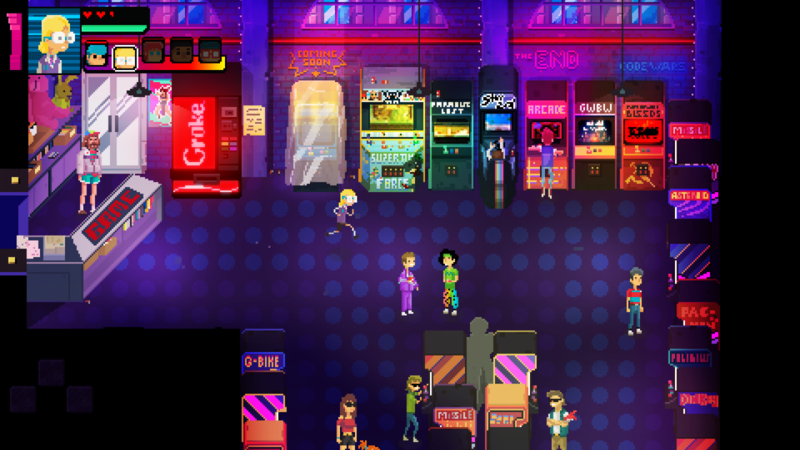 Crossing Souls has charm in spades, from its perfectly emulated presentation of the Golden Age of Film to its engaging exploration. 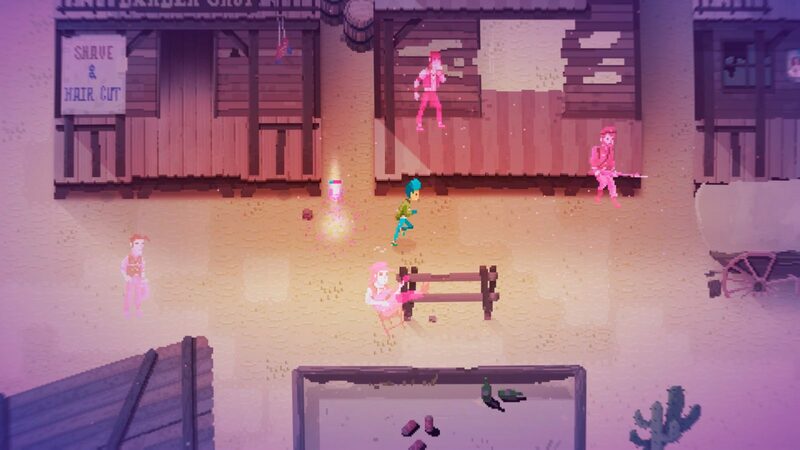 While its combat leaves a lot to be desired and its puzzles are shrug-inducing most of the time, Crossing Souls won’t walk away without some new fans.